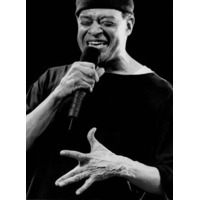 Alwin "Al" Lopez Jarreau (born March 12, 1940, Milwaukee, Wisconsin, United States) is an American singer. A seven-time Grammy Award winner, and is the second artist in history (Michael Jackson being the first) to win in the three separate categories: Jazz, Pop, and R&B. He also won the Grammys within a span of four consecutive decades — the 1970s, 1980s, 1990s and 2000s.